Showing 26 - 30 of 227 matching projects. 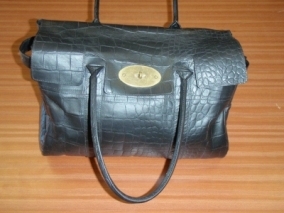 This beige type colour Mulberry bag in a crocodile style leather was sent into us to be changed to black. 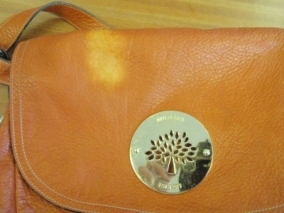 The top of this tan leather bag was stained and when the customer tried to clean it the colour was removed. 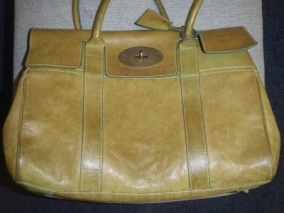 We matched the colour and sprayed it onto the leather so you couldn't tell it was ever damaged. 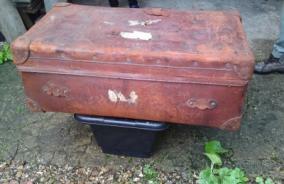 This very old leather trunk was in a very sorry state. 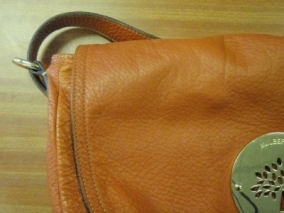 The leather was flaking away and the colour was fading. 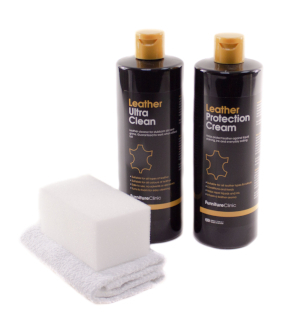 We sealed back in the flaking leather and give it a new lease of life. 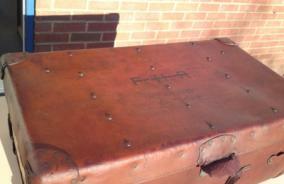 The trunk now looks as beautiful as it once did! 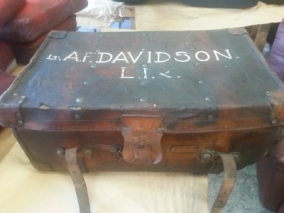 We were asked by a client if we were able to improve the look of this old trunk which was found in a house they had purchased. 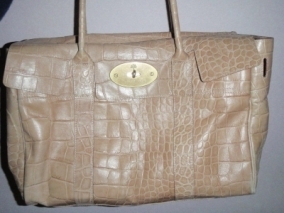 As this was very old and rather fragile the cleaning process on this was very slow and time consuming and also limited to what we would do. 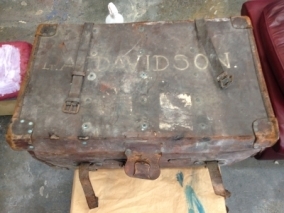 However I am sure you will agree the transformation is very good and we also were able to find out a bit about the history of the case for our client. 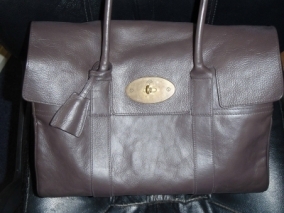 This Mulberry bag was dirty and had lost a lot of colour. Our customer decided it would be easier to maintain if it were a darker colour. 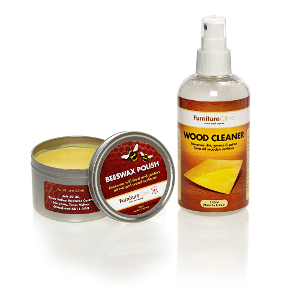 We applied the new colour and sealed it in with a clear lacquer.